I am in the country of one of my heroes, none other than the one and only Johann Sebastian Bach! 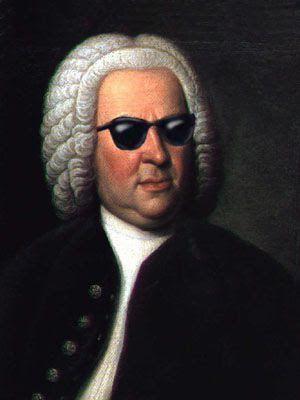 There is no such thing as “the best musician” or my complete favorite but when it comes to my top 5 Bach is always right there. He went to that big “pipe organ in the sky” in 1750. With a little luck I will have time to get to Leipzig so I can visit his final resting place. I would have to say visiting his homeland was definitely on my bucketlist. So I can check that off! Christmas in Bavaria is very peaceful and quiet and very different than what I am used to in the states. In fact it has been so quiet here I have had a hard time sleeping. I am used to a lot more of the hustle and the bustle. All the shops are closed and and stayed that way from Christmas Eve to a few days after Christmas. It has been a constant meditative state and it has been a memorable Christmas. The only downside is I miss my family and friends. This was a great opportunity so I will catch up with all of them the minute I get home. On Christmas Eve my friend Stefan and his other friend Stefan took me to midnight mass at a church here in Inglestodt that was built in 1310. Wow a church that is 700 years old!. I will post some pictures when I get home. At the end of the evening they shut down all the lights and sang “Silent Night” in German completely acapella. It gave everyone goosebumps it was so hauntingly beautiful. This country is impeccably clean as well. Spotless, everything is set up and engineered to efficiency and recycling is mandatory. We took the Autobahn back from Munich yesterday and even the Autobahn is spotless. No junk anywhere and it is fun to drive along with everyone else at 100 miles an hour. If you go under 80 mph on the Autobahn the Polize will give you a ticket. I love that! What a mature way to encourage the flow of traffic and the entire policy has no basis in fear. I love my country but I feel for a few 100 more years until the U.S. grows up we should call it the United States of Fear. Underage drinking and private marijuana use is a non-issue here as well. I have experienced the same maturity levels in the Czech Republic and Amsterdam as well. We have a lot growing up to do. I have some great gig photos to post as well. I will do so after New Years. I will write about the beer as well then. That will take an entire couple of post in itself. I hope you enjoyed your trip here in Bavaria and had a smooth flight back to the states. I also hope to see you again some day.